[W]hat Iran wants is a politically weak Iraq, which is stable and dependent on Iran and not on the United States….once Mosul is taken, these political divisions in Iraq are going to rise in importance, and will challenge the effectiveness of the Iraqi government going forward. And we must understand full well that Iran has their hands all over preventing the reemergence of political unity…. I think the Turks will keep their heads down during the conduct of this operation. They are having some positive impact against ISIS in Syria, north of Aleppo near the Turkish border, where they have actually introduced some of their forces into Syria, and have worked with the Syrian Democratic Forces – a U.S.-backed opposition coalition…. I think the Iraqi forces, supported by coalition forces, particularly the U.S., have the wherewithal to retake Mosul. How long that will take and at what price depends on a number of things. Will Aleppo and Mosul be turning points in the vicious war that has consumed Syria and much of western Iraq? Militarily, yes. Politically, no. The fall of these cities would merely mark the transition from one phase of this sorry conflict to another…. 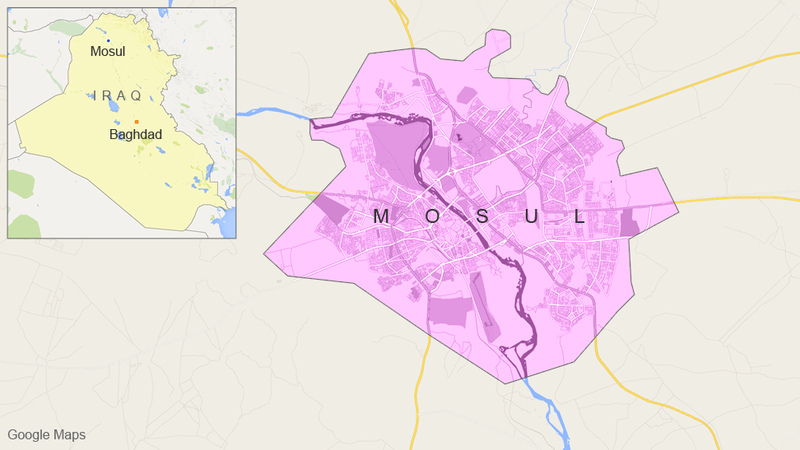 The fall of Mosul, the largest Islamic State stronghold in Iraq, would signal the beginning of the end of the Islamic State as a territory holding force in the country. 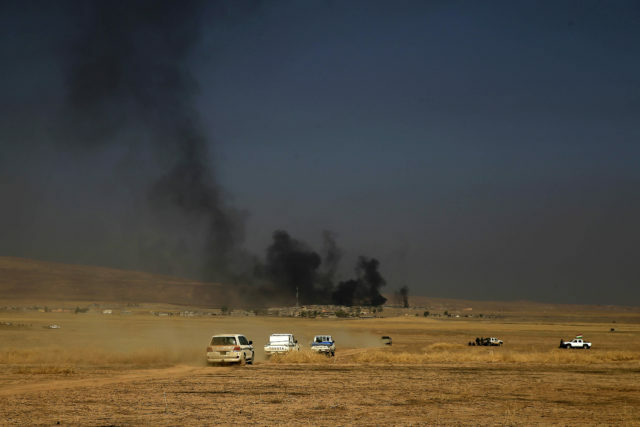 It is the culmination of a relatively successful phase of coalition military operations in Iraq over the summer, which have gradually pushed the Islamic State farther and farther up the Euphrates and Tigris rivers, back toward Syria. But as in Aleppo, the fall of Mosul would not signal the end of the conflict in the area, since nobody has yet worked out the politics of pacification. 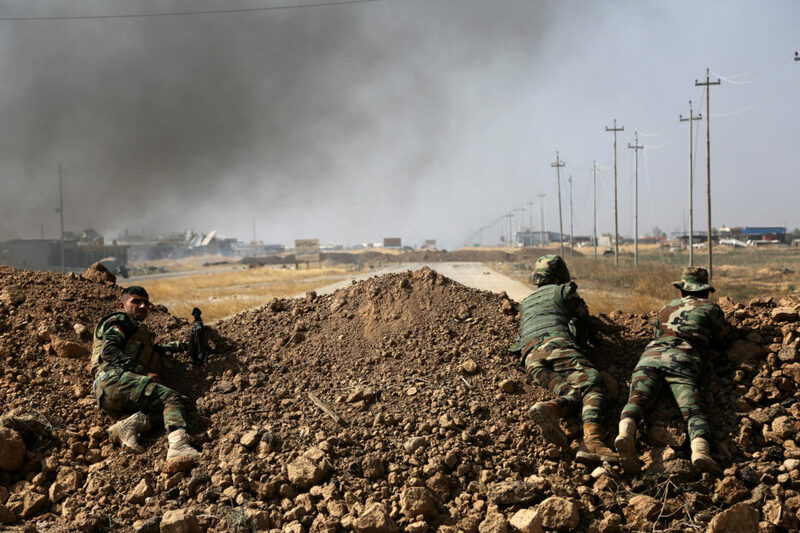 At the top of the must-do list after Iraq and the U.S. drive ISIS from Mosul is making sure the Shi’ites, Sunnis and Kurds share in the nation’s power and resources, a vexing problem that has thwarted progress ever since the U.S. invaded…. But while the U.S. can push for such comity, it can’t order it to happen. The next President may be forced to tell Baghdad to shape up or see the U.S. walk away from the table…. Abadi has been worried about the political cost of a failed assault by Iraqi regular troops. And the U.S., which will have to support the attack from the air and with advisers on the ground, hasn’t wanted to press the timing too hard. There’s little political advantage to be gained from a major conflict in Iraq during the election season. And there’s plenty to lose if the attack falters…. To what extent will Islamic State stand and fight? No one doubts that there will be some resistance, and the Pentagon says the defense includes trenches and booby traps…. 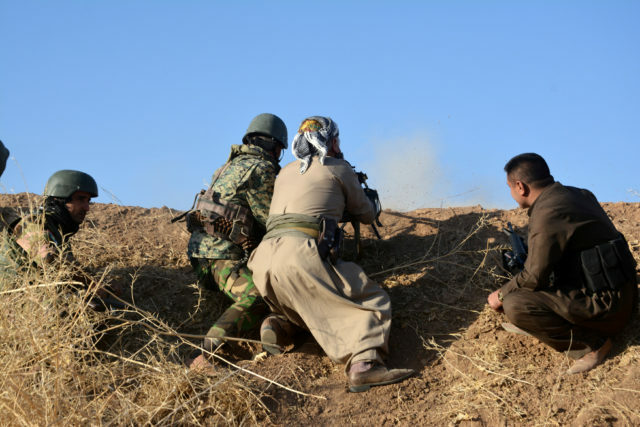 The lesson for Islamic State is not to fight an unwinnable battle. Instead, the best strategy is to act like a classic insurgent force: offer only token resistance at the advance of regular troops, and return if and when the Iraqis seem like they can’t defend or control Mosul. The crucial phase in the war against the Islamic State is imminent; the battle to liberate the Iraqi city Mosulhas begun. That has military planners speeding up preparations for the corresponding operation into Raqqa, the Syrian capital of the terror group’s self-proclaimed caliphate. But in the rush to rob the Islamic State of territory, scant attention is being paid to what happens the day after the city falls. No one thinks the mostly Kurdish force, known as the Syrian Democratic Forces, preparing to move on Raqqa could occupy the Arab city peacefully. Sunni Arab rebel groups are already stretched thin throughout Syria’s vast northeast. Turkish forces inside Syria complicate the picture even more. The battle itself promises to be long and bloody. Unlike in Iraq, there’s no host government to cooperate with and the scarce U.S. special forces in Syria can’t go near the actual fighting. Nevertheless, many top officials believe that the need to begin the Raqqa operation outweighs the weaknesses in the plan and the risks inherent in not knowing what happens next. For one thing, some officials argue, the Islamic State may right now be preparing terrorist attacks against the West inside the city. An op-ed by Ilnur Cevik, President Erdoğan’s chief adviser, indicates that Turkey wants to create a new status quo, in which it protects its interests in northern Iraq by unilaterally taking matters into its own hands rather than through mutually accepted arrangements with Baghdad. Turkey is doing itself and Iraq a disservice by unnecessarily antagonizing al-Abadi’s government, and its approach is counterproductive. By humiliating al-Abadi, Ankara gives him no reason to cooperate on addressing legitimate security concerns, as in the case of a PKK presence, and indeed, on mutual concerns, as in the case of the ambitions of Iran-backed militias in Mosul. In the broader view, Turkey may be repeating the same mistake that the Arab states made in rejecting the post-2003 order, which accelerated Iraq’s slide toward Iran and away from the Arab world’s cold shoulder. As a medieval historian, I’ve been watching the ways in which Trump, other politicians, and even plenty of journalists characterize ISIS and its horrific actions as “medieval.” I’ve always thought it was a mistake, but a mistake mostly limited to the world of rhetoric. On Friday, that changed. Three men were arrested for plotting to blow up an apartment complex that houses both a Mosque and many Muslim-Americans. They called themselves – The Crusaders…. When politicians or journalists call ISIS fighters medieval, we pretend that the group’s campaign of terror is somehow innate to Islam, elevating their stature and making it harder to defeat them…. The forces behind ISIS and Kansas Crusaders alike belong to the 21st century. We can’t beat terror by getting medieval. Instead, we’re going to have to get modern.